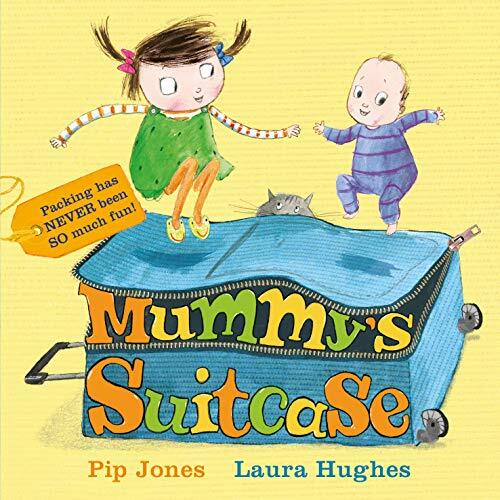 This is another lively paperback from the ‘Ruby Roo’ collection. Ruby Roo has a little brother called Barney-the star of another in the series Quick, Barney, Run!. They spend a lot of time together and the series is about big sister and little brother getting up to mischief and using their imagination wonderfully. Once again Laura Hughes’ illustrations add even more joy to the humorous language - the colour and movement give it a lively charm which is fitting for a little girl and a toddler. Mummy’s Suitcase is a lovely book to share especially if there is a mummy or daddy about to go away somewhere....but I hope it is not followed to the letter otherwise I’m not sure it would be the most useful luggage for three days!